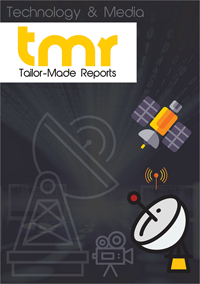 The global telecom service assurance market is foretold to gain momentum in growth with the rising demand for evaluating the quality and performance of a service and need for improved cost savings and optimization. There could be a telling demand for system integration services attaining strength on the back of new services launched by communication service providers (CSPs) that offer compatibility with systems currently used in organizations. This is expected to take shape due to the swelling subscriber count witnessed on the global platform. Small and medium-sized enterprises (SMEs) could offer crucial growth opportunities in the global telecom service assurance market because of the increasing inclination toward the adoption of next-generation service assurance platform. It is expected of the use of conventional service assurance solutions to fade away in the near future. Medium-sized enterprises are said to be more interested in improving their service performance while optimally using resources. They may also underline the need to improve their quality of service and end-user experience with the adoption of cloud-based solutions. Cloud deployment is foreseen to win the limelight in the global telecom service assurance market due to the availability of various benefits such as subscription-based pricing models, high scalability, and less capital requirement. The intensifying level of competition in the market could augur well for future growth. Furthermore, the advent of highly complex technologies is prophesied to stimulate more growth in the market. Development of 5G network in conjunction with technological developments could also help to augment the demand for telecom service assurance in the foreseeable future. Telecom service assurance is a comprehensive paradigm of a set of procedures or a procedure that accepts the idea that increasing customer satisfaction necessarily aggrandizes the long-term profitability of an organization. It meets the challenges of greater assurance capabilities for virtualized networks and strategic monitoring and troubleshooting methods for assuring the health of a network influenced by an explosion of services via cloud offerings, metro Ethernet, and smartphones. Today’s telecom service assurance systems are featured with advanced capabilities such as virtualization support for software defined networking (SDN) and network functions virtualization (NFV) services, deployment of differentiated services and new networks, real-time service analytics, and service assurance intelligence for improved customer experience. It is expected of the world telecom service assurance market to invite a spiraling demand due to the product’s competence to assess the performance and quality of service (QoS) and high requirement of enlarged cost savings and top-level optimization. Network performance monitoring is anticipated to gain traction over other markets by software solution as it holds the potential to improve network performance by determinedly identifying service degradations and abnormal network behavior. Moreover, its functionality of presenting, analyzing, and collecting availability and traffic data and network QoS is receiving greater significance with the course of time. Data privacy issues and opposition to accept new technologies and transform the workings of an organization are foreseen to hinder the growth of the global telecom service assurance market. Howbeit, the immense rise in the number of subscribers is expected to bode well for the telecom service assurance market. Consequently, professional services are prognosticated to win a king’s share in the global market. Under this segment, system integration services could grasp a healthy growth at a higher CAGR with the need to make the new services provided by communication service providers (CSPs) compatible with the latest configuration of current systems. Transport IT and network and telecom services provider based in the U.S., Dobson Technologies has picked ADVA Optical Networking to employ its access link monitoring (ALM) fiber assurance platform. ADVA ALM will help Dobson Technologies gain decisive insights into the vital segments of the company’s 3,000 mile fiber plant. Inessential truck rolls can be easily avoided with the adoption of ADVA ALM for Dobson Technologies to improve its carbon footprint. Besides this, the company will be able to deliver service assurance and better respond to faults. The international telecom service assurance market is envisaged to welcome a faster growth on the back of markets such as Asia Pacific with a lofty CAGR and larger-size markets such as North America. Telecom service providers in Asia Pacific are pampered with a colossal subscriber base due to the rapidly rising population, as a result of which the regional market is prophesied to enjoy a substantial growth rate. The demand in North America could be bolstered by the expansion plans for long-term evolution (LTE) networks. This has resulted in CSPs actively looking out for novel and innovative solutions to evaluate service quality and performance, offer efficient customer service, and systemize their latest 4G/LTE business models. Players in the worldwide telecom service assurance market are envisioned to adopt a set of strategies such as collaborations, partnerships, mergers and acquisitions, and product enhancement in order to solidify their presence. Some of the companies making the cut in the worldwide market are Accenture, NEC Corporation, HPE Company, Ericsson, and CA Technologies.